The simple and stylish design of this Dunoon mug in the Cairngorm shape would suit any lady. 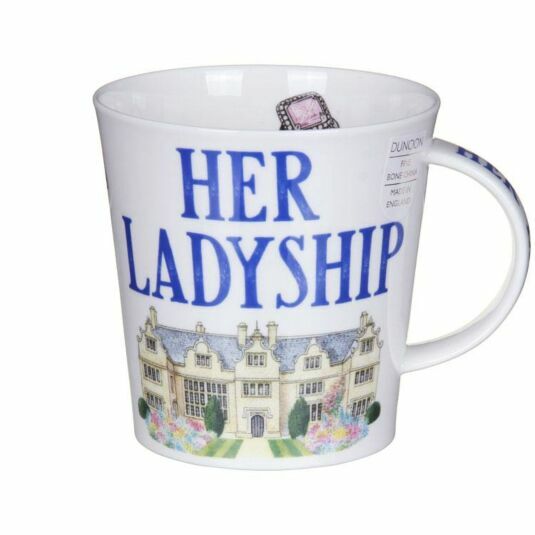 It is white with the words 'Her Ladyship' in blue above an beautiful image of a home and on the inside rim of the mug is a diamond ring. 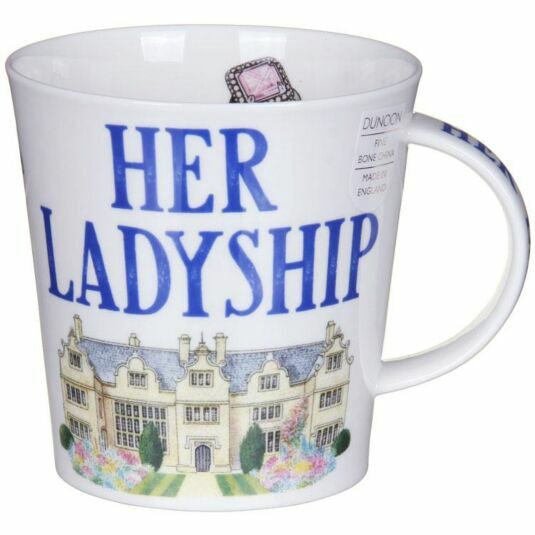 Maybe you know the perfect couple who would suit the matching 'His Lordship' and 'Her Ladyship' mugs. Perfect if you are looking to add something new to your Dunoon collection, or maybe as a gift for a loved one.